Jenny + Preston >> Engaged! 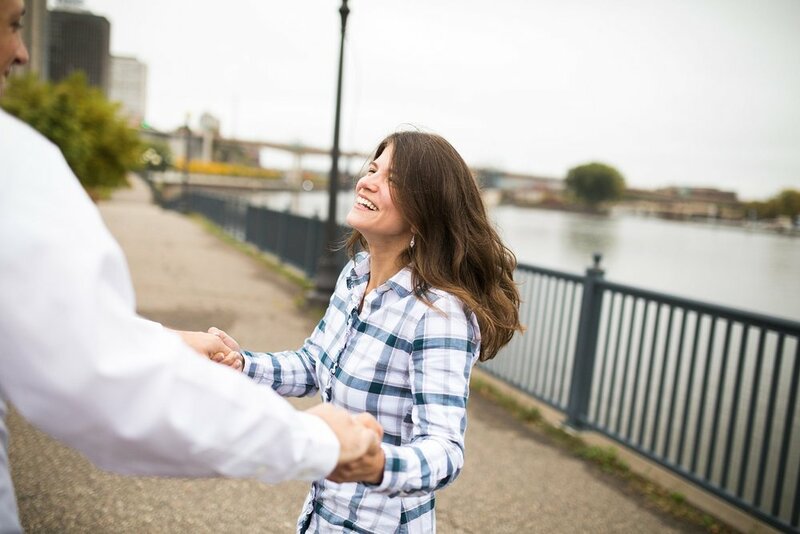 Granted, I didn’t know Jenny nor Preston before their engagement session in Saint Paul last month.. but they seem like such a solid unit, it’s hard for me to picture a time when they weren’t always Jenny and Preston. There’s clearly a high level of comfort between the two of them, yet they still have a buoyant sense of fun which kept our session light and playful as we were racing storm clouds. It’s the kind of mood (and color of leaves!) I dream about for engagement session and I’m so drawn into this one, I find myself staring back at the screen with a smile.